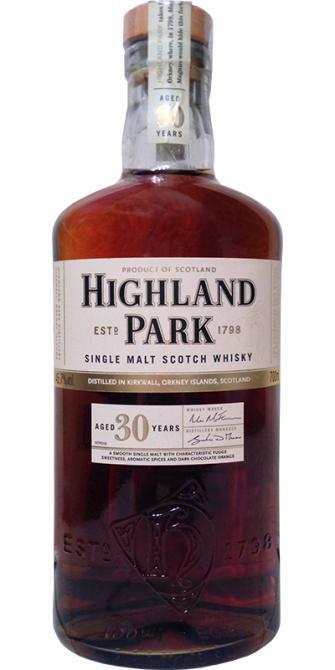 Already at the first breath above the rim of the glass, Highland Park, which has been maturing for over three decades, shows its overwhelming diversity of facets. Immediately it becomes apparent that one can dissect the malt for a very long time and will win new aromas associations little by little. Rarely has a malt evoked so much enthusiasm and fascination with me so quickly. Juicy oranges, overripe, red apples, walnuts, burnt almond slivers, marzipan, gentle sherry notes, a little heather and dark honey determine my first impressions. Various herbs, plums, nutmeg, dark chocolate, wonderful tobacco notes with a very light smoke and elegant woody notes that remind a little of cedar, complete the nose to a timeless masterpiece. So dense, so intense, so interwoven, so multifaceted - so incredibly good! The masterful nose is tasted even better. Silky soft, creamy and incredibly elegant, the gustatory journey begins. Time stops feeling, enjoyment reaches almost new dimensions. The intensity and interweaving remains at a very high level. The alcohol content of 45.7% is perfect. A few peppercorns prance on the tip of the tongue for a very short time before the dark, spicy-sweet aromas fully unfold. Juicy oranges, heather, light floral notes, dark chocolate and many fruits such as cherries, blueberries, dark honey, dates and figs are present. Brown cane sugar, a touch of tropical fruits (mango, passion fruit), oriental spices and many different herbs are mixed with the finest tobacco notes, walnuts, almonds, leather, a hint of smoke and elegant oak notes. For the final touch fine roasted aromas with a dash of espresso. Gorgeous! Very long, slightly sweet, very spicy and pleasantly warm. Incredibly multi-faceted spice and wood notes carry the very long finish. Gentle espresso notes flash with delicate sherry notes, red fruits, juicy oranges and walnuts. Fine tobacco notes, heather, black tea, leather, dark chocolate and light smoke (now a little reminiscent of cigar smoke) provide the icing on the cake. On the palate remains a slight dryness and minimal bitterness. Great! A huge, complex nose - a large box of fresh juicy sweet oranges is filling the evening sun, heather, fine honey, fennel and thyme, rosemary, fragrant summer hay, still warm marzipan croissants dipped in dark chocolate sauce, a hint of mint and cotton candy lies in the Air ... and leather, fine, old leather ... I could smell it forever! Instantly a veritable explosion of juicy sweet oranges in thick dark chocolate sauce, strawberries, passion fruit and sweet aromatic blueberries emerge from the orange-chocolate sea, dark honey, ginger, white pepper, a hint of cinnamon and nutmeg, fennel, licorice, brown candy , freshly cracked hazelnuts, the marzipan croissant is back and washed away by a soft espresso wave ... a touch of apple vinegar comes to the surface, now the Provencal herbs and ... an oxtail soup with figs in rosemary simmer on a smoldering fire of herbs and pinewood. Next to it is the creaking leather chair and smells what it lasts. This malt is very complex and does not reveal all its flavors all at once. Very complex, very yummy, slightly smoky, warm, oily and incredibly intense. At the moment of swallowing, a wonderful spicy oriental spice fire blazes on the palate. 30 years of Highland Park, this is already a house number ... and also the current price ... I compared him in the comparison with the 25-year-old, but the older bottling with 48.1% and must say, that me the 25 year old but like better. Nevertheless, a great malt that wants to be enjoyed in peace and also needs a lot of air to breathe before he reveals his great flavors. Objectively, probably the best whisky I've ever tasted. Here stands the HP 1991 clearly out. Had I tried it individually it would have been 94 points, but in direct comparison with the HP 1991, he has fallen off a bit. Overall, a decent, nice whisky. The relationship to 40 years and Thorfinn can be seen. However, he does not achieve both in terms of complexity. And especially not with regard to their sensory Wow! Effect. He is in my view, but at least better than the Ragnvald. First vanilla, orange, followed by licorice. Later, spices and oak show up. Even later, smoked fish and herbaceous notes. starting sweet, then bitter oak. The liquorice appears. Then also bright fruits. The alcohol is sufficiently strong and very well integrated. The finish is appropriately long and a bit bitter. Already has some, rather dark-sherry-like notes, more than the old HP 30s, it is less mine, bitternoten, especially towards the end, not at all. In itself, of course, a hammer whisky. Purchased in 2018 so it must be the latest batch. 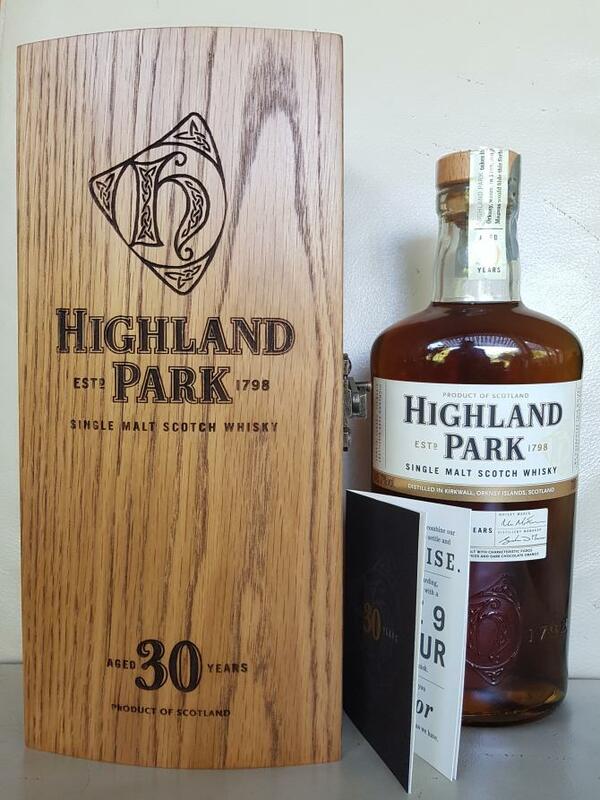 Very nice and refined, but I think the Highland Park 25 or Balvenie Tun 1509 batch no. 1 deliver similar for much less. Heather honey, orange, cinnamon, almonds, and some waxes. I was surprised couldn't find any Orkney peat on the nose. Same as the nose but quite spicy and some oak. What's interesting is you get a blend of complex spices rather than just pepper. Long, spices continue and some ocean salt.